Elizabeth Warren: We Can Do It! Since we had always meant to see “The Magnificent Seven,” but have failed to catch it for fifty years, when the recent chance to see it in downtown Berkeley popped up on our amusement radar screen a little while back, it only took a New York minute for us to jump at the chance to fill that gap in our cultural accomplishments list. It tells the story of how a bunch of loners band together to respond to an appeal by a group of Mexican peasants whose village is being periodically pillaged and robbed by some nasty bandits who act as if they have a divine right to the fruit of the poor people’s labors. The story is based on an earlier Japanese film about how some freelance samurai warriors helped out some poor farmers in their country. “The Magnificent Seven” featured a young Steve McQueen and some ideals that have disappeared from the contemporary American culture. We tried to imagine how a realistic new remake of that old film would look. A collection of beleaguered American home owners reach the breaking point via a budget that is stretched to the limits by employers who exploit the workers by refusing to increase wages for years and years yet add unreasonable increases in production goal figures and by local merchants who have to boost prices just because they can. The victims see a bunch of banksters ride into town and offer to protect the worn out workers and their little remaining cash . . . by taking it all and keeping it for themselves. In the new version, the Seven Cardinal Virtues would be lying, cheating, stealing, etc., etc. Hypocrisy would be something a Boy Scout honors and practices so that he can become a successful politician or bankster himself. Honesty and Diligence would be a sucker’s idea of attractive qualities. 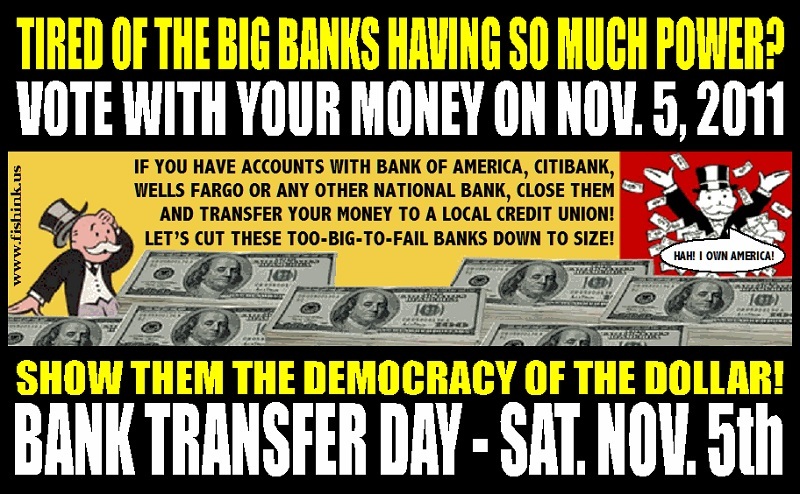 At the end of a remake, the banksters would take everything they could get from the villagers, kill them all – maybe take scalps to use for boasting in the next boardroom meeting – and then so that there could be no final trace of the wasted lives, burn the foreclosed homes to the ground. The cavalry would be assigned to protect the raiders from the workers and assert that they were there to uphold law and order. Isn’t pulling the covered wagons into a circle to hold off an Indian attack comparable to forming a union to help maintain possession of worldly goods that the attacking capitalists want to strip away from the pioneers in this new inverted logic world? Are the teabaggers the backbone of the new Republican Party? Does that mean that “Ignorance is Strength”? Freedom is Slavery! If you let people have freedom of speech they will abuse it and you will have to listen to their hate-speech just as if they were the plantation master and you were their eager and enthusiastic slaves. Don’t some conspiracy theory crazies suggest that the guy who pulled off the Enron scam, faked his death and after the best witness protection program style disappearance, went to Tahiti to live out his life in decadent splendor? Would the President of the USA authorize such a travesty of justice for an old friend? If you think that, then you might want to consider enrolling in a rehab for cynics program. Is it truth or an urban legend that Owen Wister offered to pay good money for a newspaper article reporting a “High Noon” style draw-down in the middle of the street encounter. The shoot-out at the O. K. Corral was a brief intense close quarters fire-fight and not a variation of the slap leather and shoot-in-self-defense reaction of an attacked victim. No one ever collected the money from Wister. The Western movies painted a distorted view of history. When the Sioux nation was restricted to South Dakota, it was assumed that it was OK to let them have that bit of geography because the American settlers couldn’t imagine any use for that land . . . until they discovered gold in the Black Hills. Then, it was time to rip up the peace treaties and take away the gold! Reportedly only one tribe did not get a peace treaty which was broken by the Great White Father in Washington, all the Nez Pierce Indians were killed before they could sign a treaty. Don’t forget the disease ridden blanket chapter of American charity for the Native Americans. American strategy has remained consistent from the massacre at Wounded Knee to Mi Lai, so tell the Libyans: “The Marines are coming!” and they better get while the gettin’ is good. Don’t Republicans believe that American can never have enough wars? Some folks will tell you that things have changed around completely since “The Magnificent Seven” was filmed and released in theaters and others will say that things were never like that at all. It’s just putting spin on history to catch a new generation of victims off-guard. Now the disk jockey will play “Do Not Forsake Me” (the Oscar winning song from High Noon), the theme from “The Good, the Bad, and the Ugly,” and Cher’s “Half-breed.” We have to go count coup. Have a “smoke the peace pipe” type week.